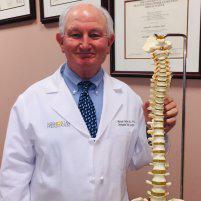 When chronic spine pain isn’t alleviated by home remedies or oral medications, J. Michael Graham, Ph.D., M.D., can help. At Northwest Spine Center in The Woodlands, Texas, Dr. Graham offers a variety of spinal injection procedures to minimize pain quickly. This type of treatment may be your best option for reducing pain and other symptoms of spine damage and may even put off the need for surgery. To find out if you’re a candidate for spinal injections, schedule a consultation today by phone or online. This type of injection delivers anesthetic and anti-inflammatory medications to the affected area of the spine, providing fast relief of pain and inflammation. Epidural injections can also be effective as a diagnostic tool, identifying the affected nerve that causes pain. Joint facet injections deliver pain-relieving medications to the small joints between each vertebra. They can also be useful in diagnosing which joint is causing pain. By injecting an anesthetic into a certain area, Dr. Graham can determine if treatment eases your pain or has no effect on your condition. This type of injection delivers anti-inflammatory or anesthetic medications to the sacroiliac joint, which is located between your hip and pelvic bones. These injections relieve low back pain, as well as pain in your legs and buttocks. What can I expect during a spinal injection procedure? Dr. Graham refers his patients to doctors who are specially trained in doing spinal injections and he instructs those doctors exactly what type of injection is needed. Soon after treatment, you can feel a difference in your level of pain. However, it can take several days to achieve the full benefits of injection treatment. Dr. Graham may choose to administer follow-up treatments to ensure your pain is well-controlled, based on your condition and specific needs. Risks with a spinal injection are minimal. Dr. Graham ensures you can tolerate the procedure by reviewing your medical history and current health. Following your treatment, you may have some muscle weakness or experience tenderness in the injection site. You can relieve this discomfort with ice therapy and rest. Learn more about the benefits of spinal injections by calling Northwest Spine Center today, or book a consultation online.